The Brookhaven Bolt is back for its fifth year to help support the Ashford Park Elementary School by providing much-needed dollars for supplies and other resources. Held annually in Ashford Park, this year’s race will take place on Saturday, May 19th and offers more incentives for serious runners, with a chip from Zulu racing and certification by the Atlanta Track Club. Todd Banister, Harry Norman sales associate and co-chair of the Bolt, said last year’s run had over 1,200 runners and yielded $30,000 for Ashford Park Elementary School. They hope this year will produce even greater proceeds for the school. So get your running shoes on and your headbands in place and sign-up today for the Brookhaven Bolt. Be sure to register before the price increases on May 13. Registration closes May 16th. Visit http://brookhavenbolt.com/ for more information. Good looking, good rate and good location…what else is there? What else indeed. According to housing experts, many buyers are generally swayed with a home’s overall appearance, financing and location when purchasing their new home. However, there may be some overlooked factors that can affect a home buyer’s long-term satisfaction. Investigate any limitations set upon your property by a community association. There may be potential red-tape on remodeling projects on a home. Restrictions can range from minor exterior changes, such as the home’s paint color, to larger impediments, like limitations on outbuildings (e.g. a guest house) or garages. Exploring neighborhood amenities such as schools, public transportation, recreational parks, and proximity to entertainment are additional things to consider when buying a house. While some of these may not seem outwardly important at first, they contribute to heightened housing market values in the community and affect whether you’re satisfied with your home purchase. Before moving into a new community, many Americans recognize the importance of low crime rates, as it affects their personal safety. What some do not consider, however, is the impact that cities with high crime rates have on monthly budgets. Even if your home does not fall victim to a burglary or if you never experience an actual personal property theft, simply living in a high-risk neighborhood can send monthly bills upward, like inflated auto insurance premiums. The Catherine Kelleghan Gallery recently welcomed Harry Norman’s top agents to celebrate their recent success with an evening of fine art. Kelleghan’s and four additional galleries, Fräbel: Copeland Collection, R. Alexander Gallery, Twenty-21 Collections: Gallery Rodin, The Sportsman’s Gallery, Ltd., and Paderewski Fine Art, hosted an art walk exclusively for the Senior Marketing Consultants (SMC) on April 19th. This elite group of agents were given the SMC designation for their exemplary achievements and outstanding sales records with the company. The agents enjoyed hors d`oeuvres from The Capital Grill and were able to view paintings centered on the sporting life at Gallery Rodin, the unbelievable glass works of Fräbel and everything from impressionism to abstract expressionism at Catherine Kelleghan’s. The REALTOR Nationwide Open House begins this Saturday, April 28th – 29th. Throughout metro Atlanta, Harry Norman Realtors will hold an estimated 200+ open houses and will be on hand to not only show buyers around the house, but to talk about the local real estate market and trends they are seeing in the area. Visit www.harrynorman.com/openhouses to view all Harry Norman homes that will be open this weekend. Follow us on Twitter @HNRealtors or Facebook: Harry Norman agents will be posting photos of open homes, locations and times throughout the day. This home is an integral part of Atlanta’s history and is one of Buckhead’s grand estates. Originally built in 1929 by the president of Ga Power Co., the Mitchell House was recently featured in a new nationally created program called “Garden Dialogouges”. The program, which debuted in Atlanta on April 15th , offers exclusive access for small groups to experience some of today’s most beautiful gardens created by some of the most accomplished designers currently in practice. 3015 Andrews Drive was one of four homes featured. View this video tour for your own exclusive access to see one of Atlanta’s treasured homes and properties. The REALTOR Nationwide Open House, April 28 and 29, offers buyers the chance to see REALTORS® in action. Not all real estate practitioners are REALTORS®. Here are 5 reasons why it pays to work with a REALTOR®. 1. You’ll have an expert to guide you through the process. Buying or selling a home usually require­s disclosure forms, inspection reports, mortgage documents, insurance policies, deeds, and multi-page settlement statements. A knowledgeable expert will help you prepare the best deal, and avoid delays or costly mistakes. 2. Get objective information and opinions. REALTORS® can provide local community information on schools, and more. A professional will help answer these two important questions: Will the property provide the environment I want for a home or investment? Second, will the property have resale value when I am ready to sell? 3. Real estate has its own language. If you don’t know a CMA from a PUD, you can understand why it’s important to work with a professional who is immersed in the industry and knows the real estate language. 4. Buying and selling is emotional. A home often symbolizes family, rest, and security — it’s not just four walls and a roof. Having a concerned, but objective, third party helps you stay focused on both the emotional and financial issues most important to you. 5. Ethical treatment. 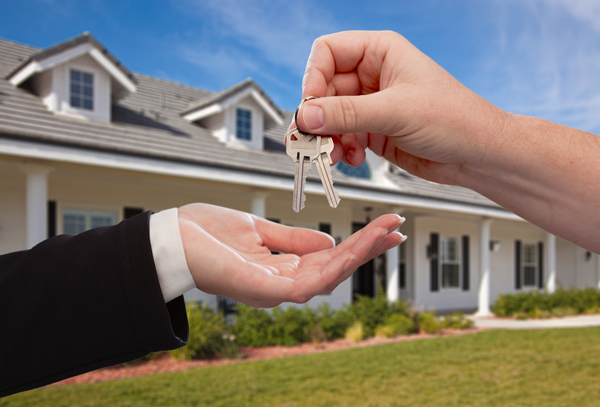 As a customer of a REALTOR®, you can expect honest and ethical treatment in all transaction-related matters. Following the financial crisis, two markets have emerged as relatively safe havens for international money: art and prime property. Christie’s CEO, Neil Palmer, weighs-in on the relationship between art and property in the Financial Times article “Estate of the art“.